Sorry about missing Fridays forecast but , like many others, I needed some time to process the shock news that more than half the voting public think we will be better off out of Europe. All I can say is get down to your local tackle shop and buy your rods and reels now, before the price goes up. For sure the prices will rise rapidly, as the pound is likely to continue its decline and a huge percentage of our fishing tackle is imported. I hear many of those that voted to leave, saying we will have our waters back. Yes we have our 12 mile territorial limit, for us to rule over and decide our own quotas, but many of the fish that we rely on to return each summer and winter are caught outside of that area. We will have no say whatsoever on the quotas for those areas. So enough of politics, how has the fishing been over the weekend? It has not been the most productive weekend but the first of the Bream are starting to show on Chesil and from the boats off Portland. 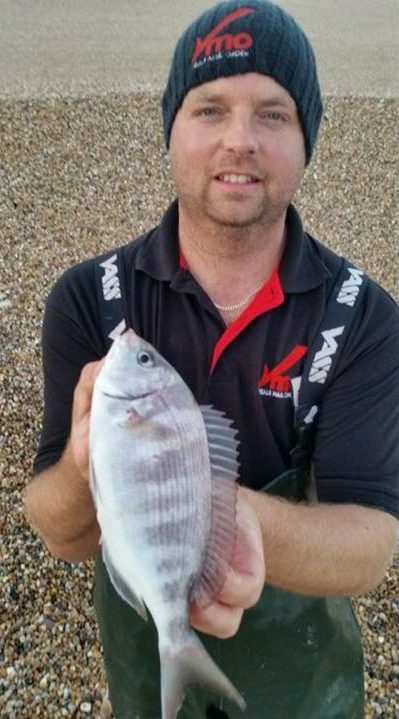 Regular visitor, Chris Buxton paid Chesil another visit on Saturday and managed a PB Undulate as well as one of the first Bream. He even managed an elusive Mackerel. Thankfully reports suggest that the Mackerel have at last returned. Chris mentioned that he was still picking up a lot of May water on his lines. So much so that the lines were coming in thick with it. Inshore fishing from the boats has improved recently. I was offered a place on Snapper yesterday and knew that I would regret turning it down. I wasn’t wrong. Luke put his customers onto some great Tope, which are one of my favourite summer species to catch from from the boat. 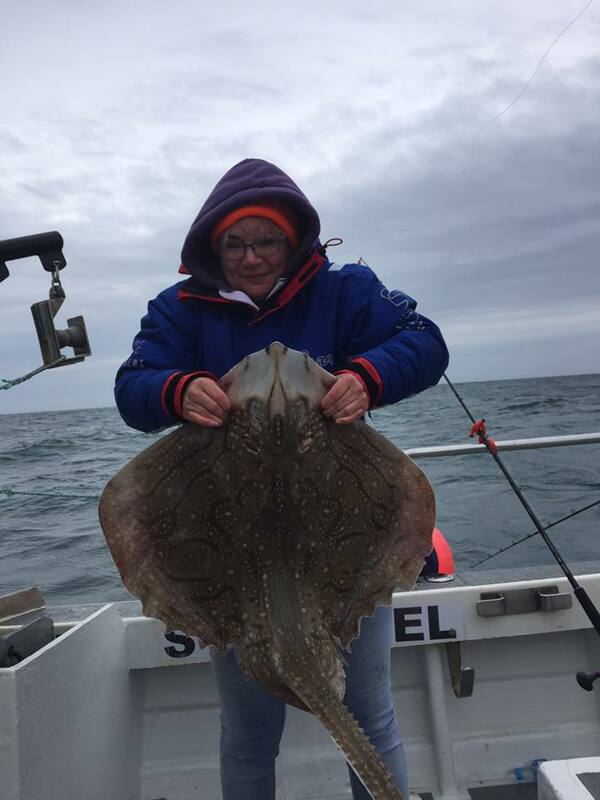 I was especially disappointed when I found out that Mandy Bundle had caught my nemesis fish, a cracking Undulate Ray. Other charter skippers were having a good time as well. 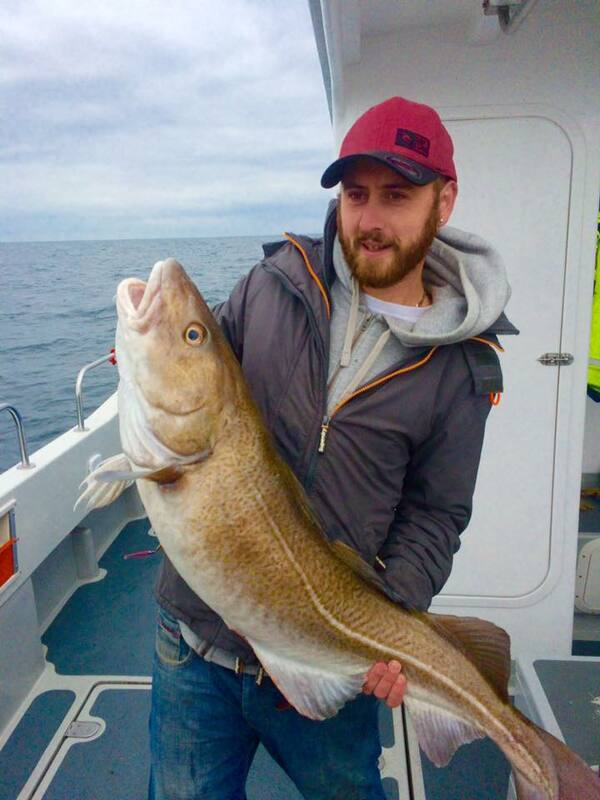 Paul Whittal of Offshore Rebel managed to get Sam Carr into a 30lb Cod on a wrecking trip. We have some great articles for you this week and we will be kicking it off tomorrow with a Wrasse on Lure article. I am hoping to do the first of my live broadcast fishing shows on YouTube this week. I will release more details, as we finalise the day and time. 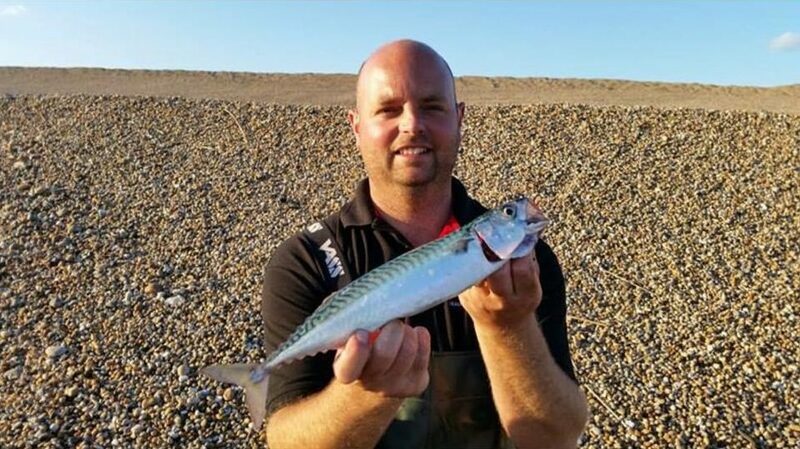 Chesil Beach forecast: We have a settled couple of days that should be good for Mackerel and also give us the chance to target those early Bream. Rays are on the cards, but are often difficult to locate. 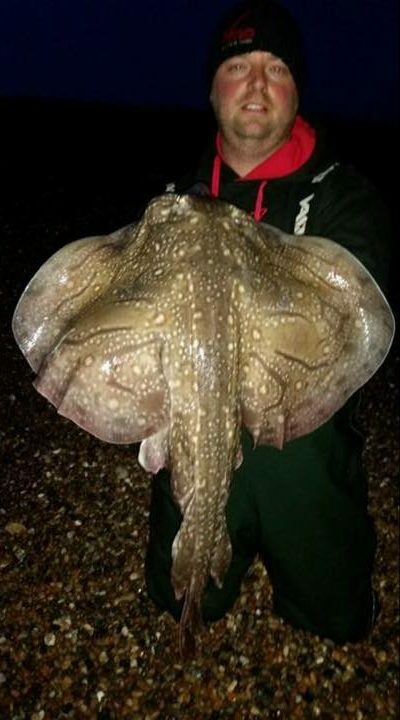 Expect Plaice from the Western end of the beach, but they will be at range. The weather is set to get fairly windy for a few days, during mid week. This could improve the Bass fishing. Talking of Bass, we will be allowed to take one Bass a day from Friday. 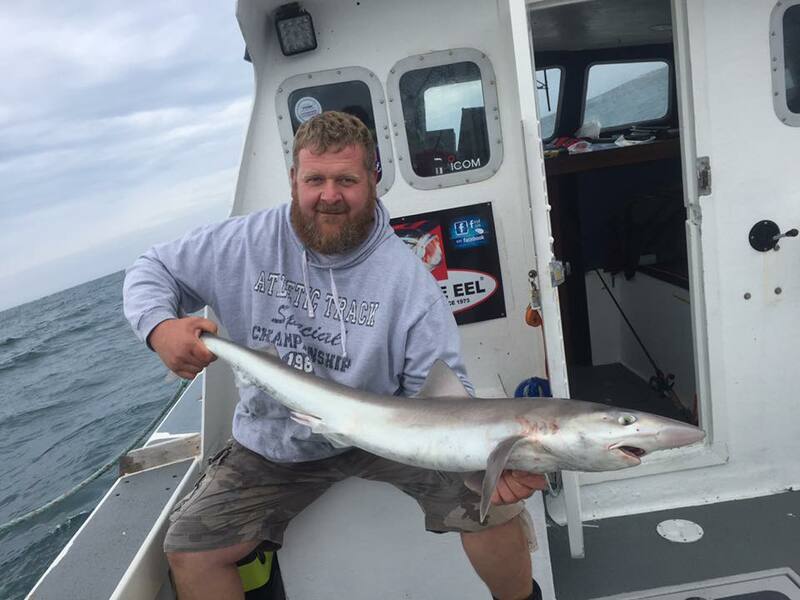 Portland: Light winds will be good for the Pollock and Bass, but as with Chesil, the winds from Wednesday will make the fishing a bit more difficult for them, especially if you are targeting them on lures. Portland Harbour: I fished the harbour yesterday, in an attempt to make an LRF video. One of the fish we were after was Wrasse. We could not connect with any Wrasse and ended up being plagued with school Bass. There was no sign of Pollock or Garfish. Weymouth Bay:Peston Beach will offer sheltered fishing on Wednesday when the weather picks up. The piers should start to see regular catches of Mackerel, now they are around again. Once the water in the harbour clears up, the Mullet fishing will also improve. Fishing Tails > All Articles > Reports > Chesil Beach > How will leaving the EU effect us as anglers?